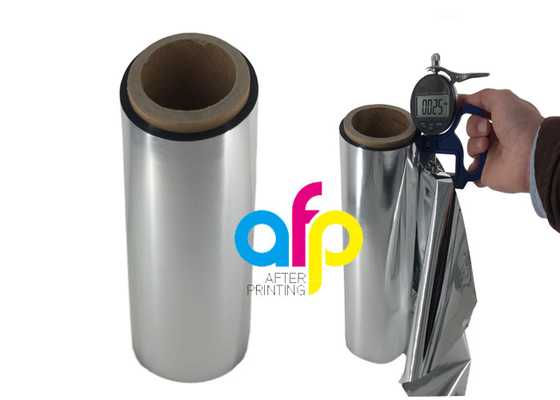 Metalized Polyester(PET) Plastic Hot Lamination Film comes out as the aluminum paper when it laminates with paper. Our Metalized Thermal Laminating Film has Silver, Gold and other colors, mainly at 25microns. 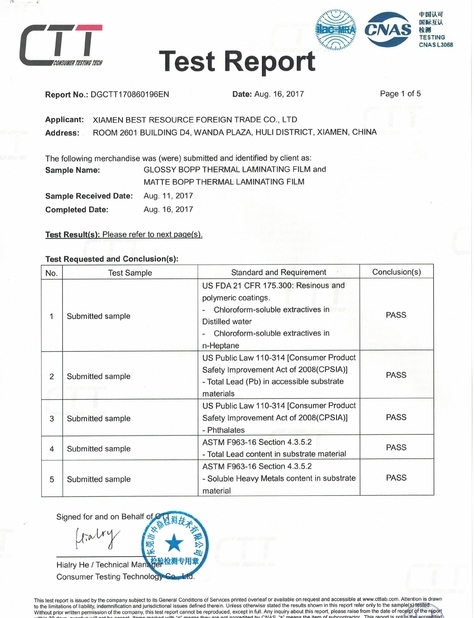 What is Thermal Metalized Polyester Film? 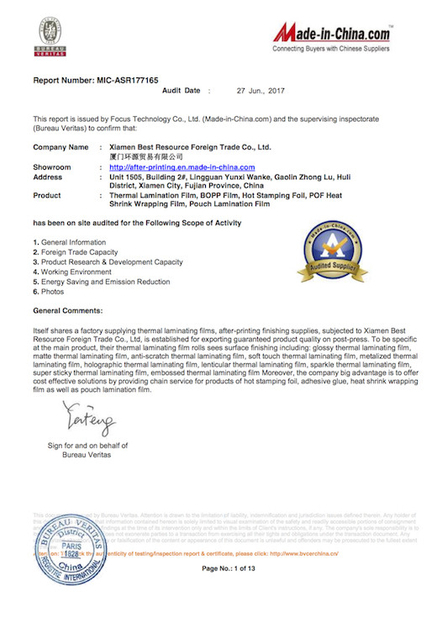 Thermal Metalized Polyester Film is consist of Metalized Polyester Film and EVA Glue, thickness is from 17micron to 25micron, mainly at 24micron(12MPET+12EVA). treatment valued above 52 dynes. It is used to laminate on the daily consumable packing box, such as the box of grocery,medicine, wine etc. There are various Metallic Color Metalized Thermal Laminating Film, Silver,Gold and other colors, customized color is acceptable (available at both gloss and matt). 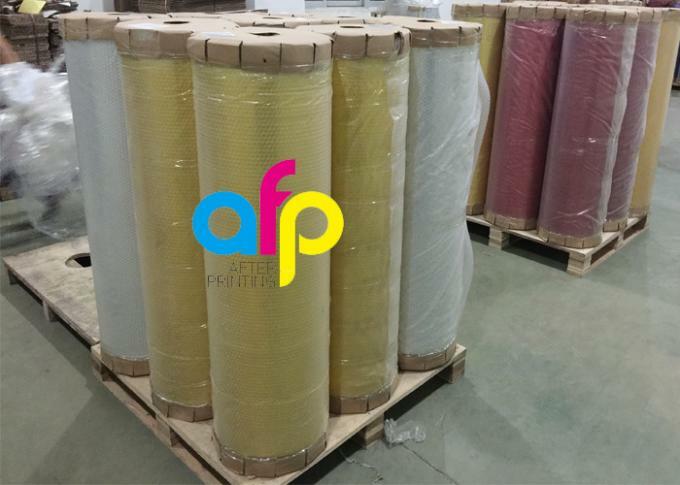 There are two kinds Metalized Thermal Lamination Film, one is chemical and corona treated metalized thermal lamination Film for offset printing, the other is corona treated metalized thermal lamination film. * The MOQ is 2tons.